The Pinterested Parent has all the details. 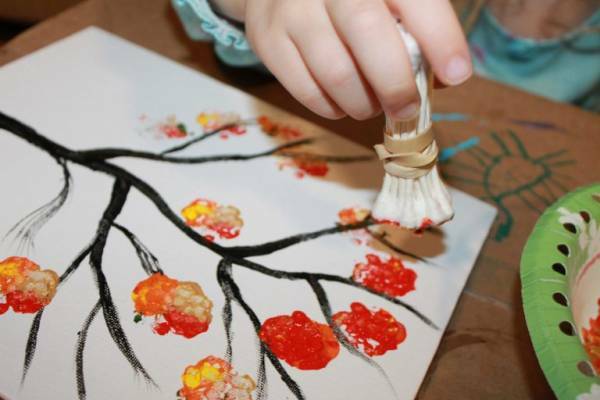 She painted a tree on a canvas as a base for her kids to paint on, which is lovely, but you can also just do this with a printable of a bare tree (try a bare tree coloring page, for instance) for a project with a lot less prep. I love the way all the different colors mixed to make a lovely fall scene. Make this one before we dive headlong into winter crafts.